Although only a few miles from urban Hong Kong, the remote, pristine beaches on the eastern edge of the rugged Sai Kung Peninsula seem like another country. 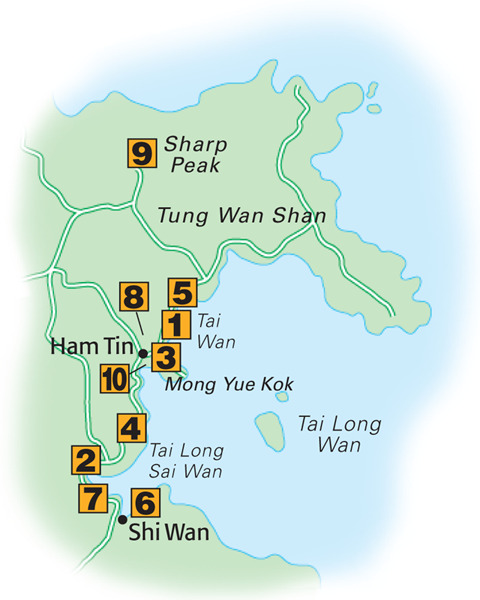 There is no rail link and few roads, so you will have to make an early start, taking a bus to Sai Kung town, another bus to Pak Tam Au, then walk the hilly 4-mile (6-km) footpath to the beach. Alternatively, hire a junk. The reward for your effort will be glorious surf, delightful hidden pools and shaded cafés. A good route out of Tai Long Wan is the lovely, scenic path heading southwest from Sai Wan village, winding in gentle gradients around the edge of High Island Reservoir. Once you hit the main road outside Pak Tam Chung, you’ve a good chance of picking up a bus or taxi back into Sai Kung town. 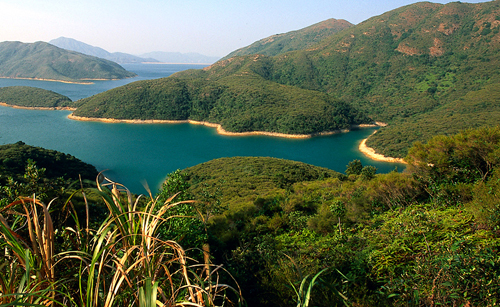 Buy the HKTB’s Discover Hong Kong’s Nature for detailed information. 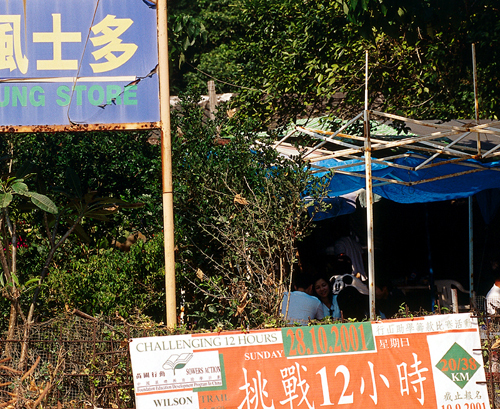 The only eating options are beach cafés, or you can stock up for a picnic at Sai Kung town. 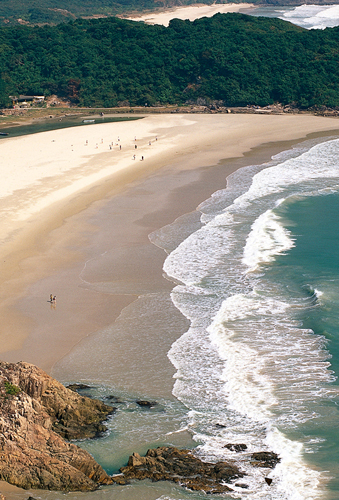 There are three excellent beaches at Tai Long Wan. 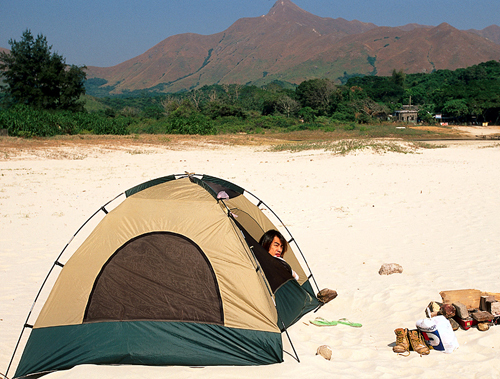 Tai Wan is the most remote and unspoiled; the smallest beach, Ham Tin, has a good café and camping area; Tai Long Sai Wan is the busiest. 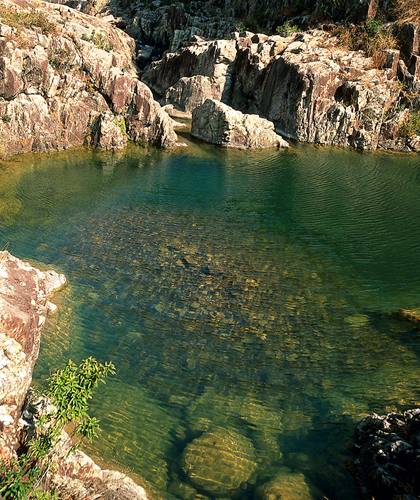 A lovely series of waterfalls and natural swimming pools is the area’s best-kept secret. Reach them from the path running alongside the small river at the northwestern end of Tai Long Sai Wan beach. Noodles, fried rice and hot and cold drinks are available from the modest, reasonably priced cafés on Tai Long Sai Wan and the Hoi Fung café at Ham Tin. Take the steep half-mile (1-km) path between Ham Tin and Tai Long Sai Wan for lovely views down onto Ham Tin, Tai Wan and the mountains behind. Tai Wan usually has reasonably good surf. Gentle body-boarding should always be possible, and you may even be able to surf properly when storms raise bigger swells. Most privately hired junks drop anchor at Tai Long Sai Wan, and their passengers head to the beach in smaller craft, making this the busiest of the three beaches. Tai Long village may have been first settled in prehistoric times. 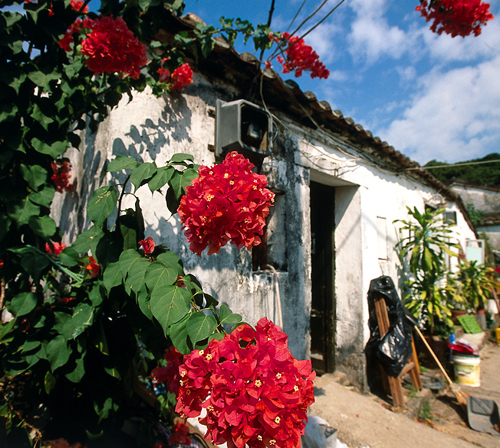 It was a thriving Hakka fishing village until the 1950s, when most people migrated to the city or abroad. A few elderly residents remain. The area just east of Ham Tin village is the best place for overnight campers, with flat ground, public toilets and a stream for fresh water. There are no hotels. The prominent 468-m (1,497-ft) summit of Sharp Peak is clearly visible from Ham Tin and Tai Wan. The arduous climb up its very steep slopes rewards with spectacular views over the peninsula. 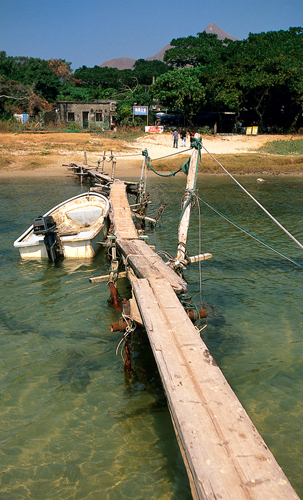 If you want to keep your feet dry, the only way onto the beach from Ham Tin village is via a rickety bridge. Marvel at the makeshift engineering from nailed-together driftwood and offcuts.